HubSpot announced today the launch of the HubSpot Agency Directory, a new free offering that will help agencies market their business and attract more inbound leads. The new site is an extension of HubSpot’s existing directory, which previously was only available to HubSpot agency partners and currently features more than 700 listings. Agencies spend the vast majority of their time delivering services for their clients, but often struggle to dedicate time to marketing themselves. Sales can present an even bigger hurdle – marketers aren’t salespeople, after all. In fact, according to a recent report from RSW/US, 69% of agencies say their biggest challenge is breaking through to prospects. The HubSpot Agency Directory is designed to solve that problem by giving agencies the resources they need to stop worrying about marketing and sales and focus on what matters – serving their clients. The ability to easily be found by HubSpot’s more than 44,500 customers across more than 100 countries. Association with and support from a world-class brand. Increased traffic from the more than 15,000 visitors HubSpot’s Agency Directory earns every month. A free HubSpot account, which includes access to HubSpot CRM and HubSpot Academy’s free certifications. To be listed, each agency must complete HubSpot Academy’s Inbound Certification and sign up for a free HubSpot account. Each directory listing includes user reviews, industry specialties, general budget parameters, certifications, and links to contact the agency. 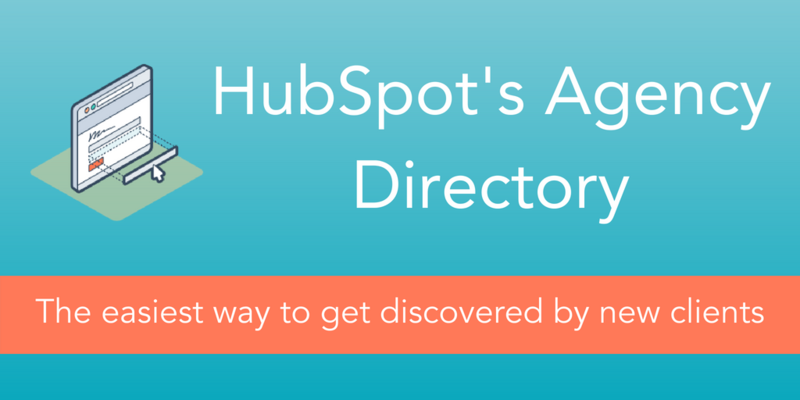 To learn more about HubSpot’s Agency Directory and sign up for a free listing, please visit: https://offers.hubspot.com/agency-directory-listing.